Impose universal background checks for anyone buying a gun. Impose a minimum age limit of 21 on gun purchases. Enforce a ban on possession of guns by anyone subject to a domestic violence protection order. Tighten rules on straw purchasers who buy for criminals. Make serial numbers harder to remove. Invest in “smart gun” purchases by police departments or the U.S. military, to promote their use. Invest in research to see what interventions will be more effective in reducing gun deaths. The intentional deception continues with comparison to regulations on ladders in the workplace and automobile accidents. This deception conflates accidental deaths with intentional deaths. If he were being honest here he would have compared accidental deaths by falls off of ladders or automobile accidents to firearm accidental deaths. Or the use of automobiles in violent crime such as bank robberies, kidnapping, and terrorist attacks. That would be fair. But it’s obvious Kristof is not interested in fair or honest. Lets do an “apples to apples” type comparison with accidental firearm deaths and see how gun ownership stacks up. 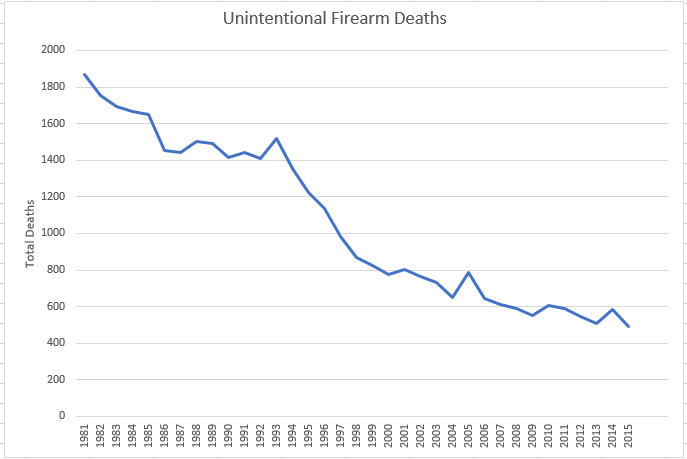 I’ve reported the accidental death by firearm numbers before, but here is it again with slight editing to make it consistent with this blog post. 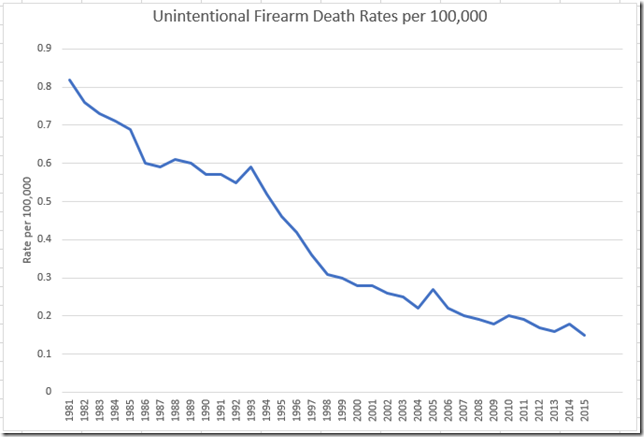 Here is the data I downloaded from the CDC on accidental firearm deaths. From 1985 to 2015 the total number deaths dropped from 1649 to 489. A decrease of over 70%. And if we look at the death rate instead of total deaths it went from 0.69 to 0.15 per 100,000. That’s a drop of over 78%. And that’s without a government program. I can’t say that it is cause and effect but the NRA Eddie Eagle program (gun safety for children of any age from pre-school through third grade) was developed in 1988. And there was a big push for more NRA firearms instructors in the mid 1990s. But don’t expect Kristof or any other anti-gun person to talk about the successes of the private sector or gun organizations. It’s not about safety. It’s about government control. This entry was posted in Current News, Freedom, Gun Rights by Joe. Bookmark the permalink. There’s probably a framework editorial stored in a folder ready to be touched up and rolled out in the event of a significant event. These are vile blood dancers, incapable of humanity. Damned Dansers Macabre can’t even wait for the blood to dry, or the bodies to assume room temperature. Kristof is fomenting war between Americans and the government, whether he realizes it or not. As per usual, I have to point out that statistics, while authoritarians collect them, love them and rely on them, do not determine, modify, append, limit, or otherwise influence human rights. Statistics are primarily used as a pretense or excuse for violating rights en masse, or otherwise gaining an advantage over others. If they did not serve that propose, they’d not be collected in the first place. Yes, the statistics are currently very favorable to our cause of defending second amendment rights. And that is entirely irrelevant to the actual case for human rights. That case for human rights does not rely on statistics, but on the founding principle of the sovereignty of the individual, the natural rights of all people, as it is said, “endowed by their Creator” (your rights are not “endowed by the statistics” and therefore cannot be modified by them). Some day, maybe generations from now, or maybe next year, maybe next week, the statistics will turn around and accidental deaths and/or intentional deaths will start to rise again. That also will have no bearing or effect on the unalienable right to keep and bear arms for protection of family, self, community, state and country and to use arms for purposes of recreation and practice. 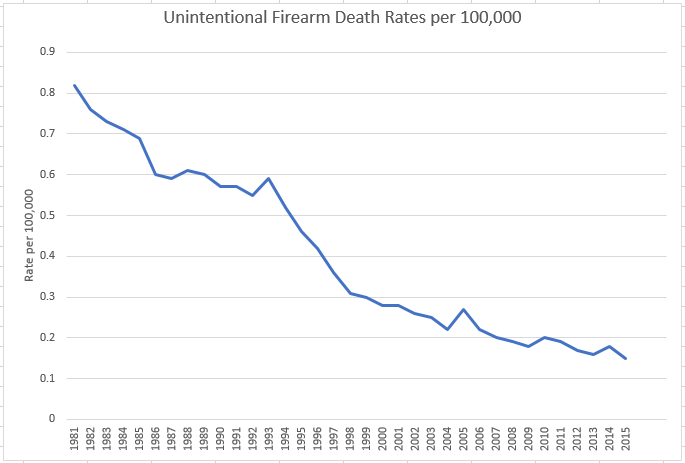 In this case my use of statistics demonstrates the dishonesty of the anti-gun people and the superiority of private solutions over government solutions. To say “It’s a right and we aren’t going to change” will lose mindshare in the political world. Offering workable solutions to real problems will gain mindshare. 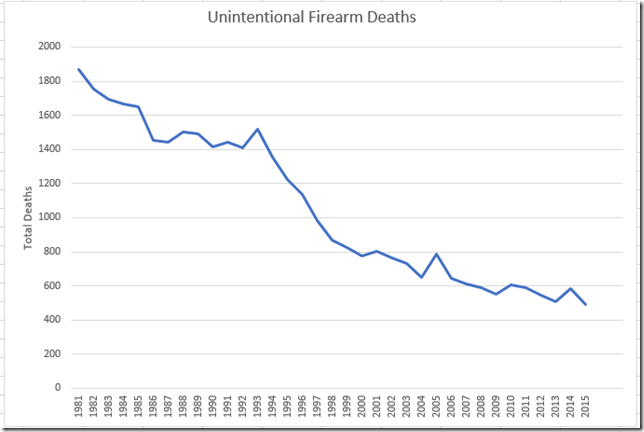 Showing we reduced accidental shootings with training or stopped mass shootings with concealed carry destroys the narrative of that NRA/gun-owners only cares about money/hunting/toys. The response from the NYT, and analogous ones from Hilary, are a bit like responding to a car bomb attack by calling for lower motorcycle speed limits. Well, in this case, I don’t think any of those 10 steps would have prevented this. Like Jeff B posted, it’s like that have a ready made article in the ‘draft’ file with a few ‘fill-in-the-blanks’ of a few of the “W”s waiting for the next jerk. No, of course not. The same has been true every time in the past. And that’s not a surprise. When statists push a “government solution” what they are actually aiming for is something that will increase government power and taxation but never actually solve the alleged “problem”. After all, if it did there might be arguments for closing down the government department in question, and that’s not to be tolerated. This is why you see things like a “Department of Education” in a country where education is working less and less. Or an “Environmental Protection Agency” desperately searching for supposed problems, real or imaginary, for it to solve. Or 99.44% of other Federal agencies not authorized by the Constitution. Maybe limiting the search and seizure laws would enable law enforcement to find these guys BEFORE a bad event? Maybe a semi annual home inspection like in Japan? Privacy laws are hindering prevention, and I’m tired of these tragedies — it’s for the children, doncha know. If it saves one life it’s worth it what are you hiding, anyway? Why not just jump to the end result? Have I missed any of the straw man arguments? There isn’t any legitimate reason to own a gun. If you are not planning mass murder, what do you have to hide? There is no need for expensive high-accuracy sniper weapons. There is no need for low-accuracy inexpensive weapons. There is no need for compact weapons. There is no need for such large weapons. There isn’t any reason to ever posses that much ammo. White guys are always the mass murderers. You can’t generalize about any group except for white men. It so happens I’m re-reading “Enemies foreign and domestic” right now. That parade of straw men sure looks familiar. I hope this isn’t a case of someone reading that book and using it for a reference manual. Coincidental timing: the author had one of the books in that series free on Amazon over the weekend. Think it was Castigo Bay. Different series, but a good book. First of two (the other, better in my view, is “The Red Cliffs of Zerhoun”). These are fairly straightforward thrillers, set in a “nation-states are coming apart” setting. The “Enemies trilogy consists of: (1) Enemies Foreign and Domestic, (2) Domestic Enemies — the Reconquista, (3) Foreign Enemies and Traitors. These are a seriously scary dystopia, with the good guys having a very hard time though some successes. The two series don’t share characters or settings. I’d recommend them all.